Sy'needa Penland: An excerpt from my memoir, "Broken Silence, A Military Whistleblower's Fight for Justice"
An excerpt from my memoir, "Broken Silence, A Military Whistleblower's Fight for Justice"
Over 50 years later, in 1998, Admiral Lillian Fishburne was officially appointed to rear admiral by President Bill Clinton, becoming the Navy’s first African-American female flag officer. Over a decade later, in 2010, Admiral Michelle Howard became the second African-American female to attain that rank. 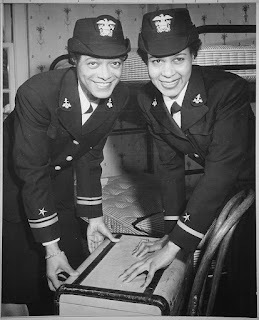 She was also the first African-American woman to command a U.S. Navy warship, USS Rushmore. In May 2011, Captain Annie B. Andrews was promoted to rear admiral, making her the third in line. 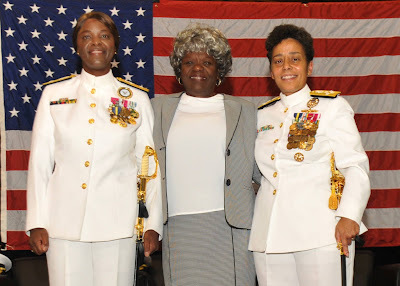 Admiral Howard continued her stellar career of “firsts.” In August 2012, she was promoted to vice admiral, and on July 1, 2014, she again made history with her promotion to four-star admiral and appointment to serve as vice chief of naval operations. She is the first female and African-American to hold that post. 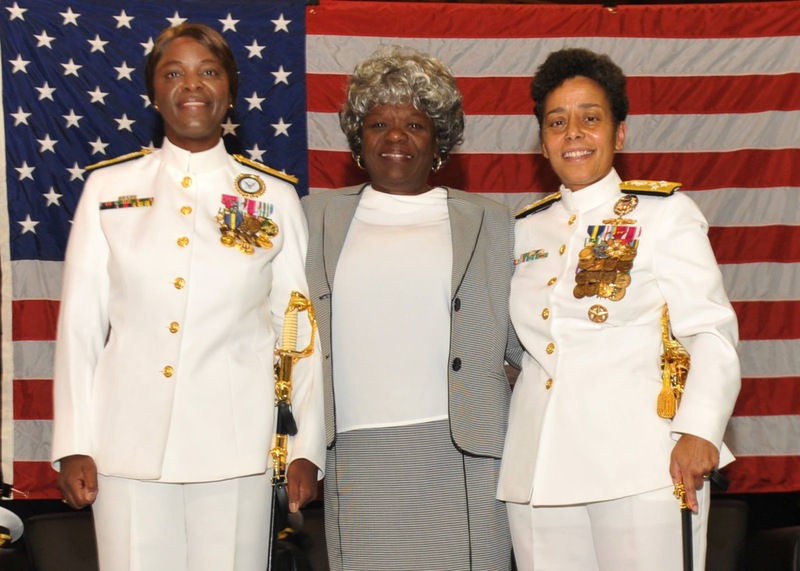 Through the years, these remarkable trailblazers have helped to pave the way for more African-American women to join the senior leadership ranks, serving side by side with our fellow service men. There are many Americans who righteously say that race relations in America have come a long way in the wake of the election of our country’s first elected African-American president, Barack Obama. Alternatively, many may argue, “President Obama was elected far before his time.” It’s been my observation that the Deep South of today continues to be a reflection of years past, stuck in a time warp of racist politics and insistent bigotry, its abundant minority community living in a racial stalemate. When I left my childhood home in Buford, Georgia over 20 years ago to join the Navy, I vowed that I would never again return to the South, but the Lord had other plans for me. I was compelled to return home in early 2010, when my mother suffered a brain aneurysm and subsequent hemorrhagic stroke. My first visit to the intensive care unit (ICU) hospital room was surreal and emotionally painful. When I walked into her room, the faint sound of my mother’s breathing was overpowered by the rhythm of my own elevated heartbeat. As tears began to well in my eyes, I desperately wanted to hear her call me by my middle name, “Lynn” – although it was a name I’d detested hearing as a child. Just to hear the sound of my mother’s voice would’ve brought comfort to my soul. Throughout my Navy career, I bore witness when the voices of others were drowned out. Had I helped them to be heard? Was I, myself ever heard? At that moment, alone with my mother, I began to reflect back on decisions I had made over the course of my life. Each one acted as a catalyst for me to overcome the next series of obstacles I would face along the way. As I sat by my mother’s bedside, I suddenly realized I was ready to break my silence and share tales of perseverance, triumph and tragedy that have truly challenged, tested and grounded my faith. My mother, my grandmother and my father have always been the core of my strength and spiritual foundation. Today, I’m able to appreciate the remarkable gifts of resilience, discernment, courage and wisdom they passed down to me. In that moment with my mother, I knew I would have to speak up. I am blessed and sincerely proud to have had the opportunity, throughout my Navy career, to train and mentor junior Sailors and other military service members, and to have been mentored myself. I forwarded the Navy’s mission to maintain a high retention and advancement rate of our Sailors, and I personally promoted equal employment opportunity by encouraging and promoting off-duty education and ensured effective on-the-job training; thereby improving professional and personal development of young Sailors. It was a rewarding, humbling and an eye opening experience. In August 2006, when I was promoted to the rank of lieutenant commander Supply Corps officer, I had planned to complete my final tour of duty in San Diego, California and then retire from the Navy, after serving 20 years of honorable active duty service. Those plans quickly changed when I chose to take the moral high ground in an impossible situation – I made the difficult decision to report my bosses for committing fraud against the American taxpayers. I would soon become a targeted military whistleblower and would later experience the most egregious violations of my constitutional and human rights. 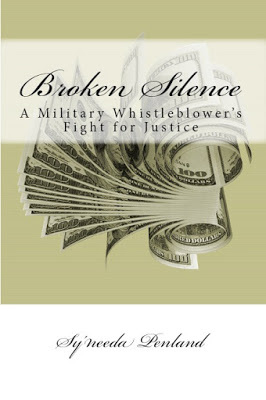 I blew the whistle on military corruption at the height of the U.S. Post 9/11 War on Terrorism. The Navy’s top brass wanted to silence and discredit me in any way they could, and they found a way. My singular experiences form a modern day Scarlet Letter chronicle – not romantic fiction, but a true story about my dogged fight for justice. I was forced to trade in my Navy lieutenant commander golden oak leaf and stripes and, like Hester Prynne, to don the symbolic and shameful letter “A.” To this day, I remain the only “single” female in the history of the U.S. military to be sent to the brig (prison) for Adultery. My commitment to my military career was as strong as any civilian marriage, and I was willing to experience decades of sexism, racism, betrayal and scandal, in the struggle to create a new life filled with dignity, joy and self-acceptance. I risked it all to reveal the truth behind the iron curtains of the U.S. Navy, only to find myself banned from the military. Yet I maintained my integrity throughout my career, court-martial trial, and incarceration – and I triumphed. first African-American Waves to be commissioned. 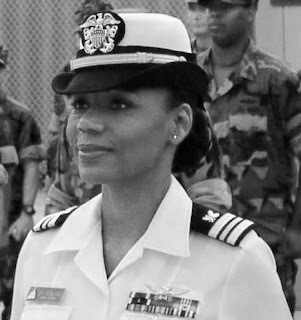 and Admiral Michelle Howard. They are the first three African American female admirals in the Navy.